Hey, Dennis, Welcome to Jungle Red! Your comments on writers' block made me think of the article ("The Eureaka Hunt" by Jonah Lehrer) in this week's "New Yorker" - it explains something I've noticed as a writer, that it's when I take a break from work, take a shower, a long drive, or when I'm lying in bed letting my mind drift that I work my way out of whatever plot-hole I've managed to dig myself into and been stuck in sometimes for weeks. Is there a way to "make" that happen or do I have to wait to get kissed by the muse? Can depression at the root of procrastination/block problems. Now, I do not mean manic episodes where someone bangs out 5 chapters in two days then crashes. I know well or have worked with several authors in various genres who have been diagnosed and are taking meds--they attribute ALL of their block problems to depression. The litmus test for them appears to be the consistency of the symptons even in thise blushing times of success or accolades from fans/critics. Thanks for your comment. However, I'm afraid I'm a bit suspicious of "inspiration"...I think waiting to "get kissed by the muse" can end up being very frustrating. In my experience, writers who work hard and consistently, regardless of how "stuck" they feel, are much more likely to be creatively available when the solution DOES present itself. So I think my answer to your question is: yes, those "Eureka!" moments DO happen, but usually against a backdrop of dilligent effort. As Louis Pasteur said, "Chance favors the prepared mind." Very good question, one that deserves a much longer and more considered response than I can offer now. But, in a nutshell, I'd say that depression may very well be one of the strands woven into a writer's struggles with a block...yet it can be a kind of chicken-and-egg dilemma. Is the depression affecting the writer's ability to cope with and work through a block, or does the fact of being blocked itself contribute to a state of depression. As I've said before, if we give a self-invalidating MEANING to the fact of a block, or to a depression that seems to stem from such a block, we're only digging ourselves deeper into a hole of self-loathing and shame. In other words, if we start thinking things like, "If I were a real writer, I wouldn't be stuck." Or "I bet all the successful writers don't struggle like this." None of which are true, of course, but the frustration of being stuck on a piece of writing can certainly lead to this kind of negative thinking. Anyway, Christopher, that's the best I can offer off the top of my head. Thanks too for your question. What an interesting career path and writing history. "Welcome Back, Kotter" will forever stick in my brain as a great sitcom with such a variety of characters. 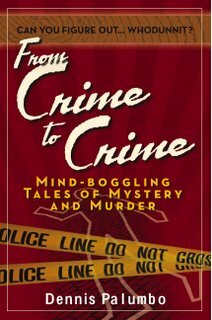 I must check out From Crime to Crime as I struggle with writing mysteries with non-professionals. Anyway, I'm having a tough time keeping my question short. Basically, I love writing. If I don't write I feel cranky. I need to write. And I even put it on myself to 'put up or shut up', so I quit the corporate world 2+ years ago to focus on writing and yet, still, I really only crank something out when I have a paying deadline. I've always been like that and put all writing projects off until I know I can't put them off any more. And when I sit down to work, I write what needs to be written, and feel it's good at its core (I work well with critiques and feedback). I could be making so much more money if I finished projects well ahead of time, yet, I wait until I know it HAS to be done and then I do it. I have all the freedom in the world to craft my own schedule, yet I don't have one. Most days come together as they happen. Any recommendations for how I can figure out why I persist in this behavior? I love therapy and have worked with therapists and coaches over the years, so am always seeking to learn more about myself. 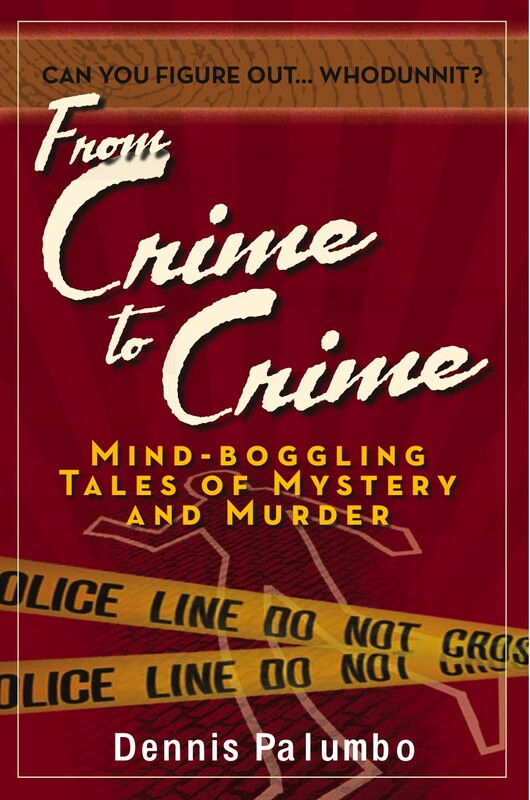 Thanks for your question, and if you do pick up my new book, "From Crime to Crime" (Tallfellow Press), I hope you'll let me know what you think of it. Your issue about needing deadlines is a familiar one, but one that has many possible sources. I'd have to know more about you, your childhood experiences, etc., to be very specific. However, as a general rule, procrastination (stalling on a project until the last possible moment) is often a protective mechanism we use to ward off potential shameful self-exposure. Regardless of our ambition, talent and work ethic, if we fear that the final writing "product" will expose us to criticism, shame, or the confirmation of long-held negative views about who we are and how talented we are, we procrastinate. We want to delay that event as long as possible. Again, I'm sorry to offer such a tidy answer to a complex question, but time constraints demand brevity, I'm afraid. But I hope I've given you something to think about. Me again, Dennis. I was skimming your post again and my eye caught on the comment about how you could understand the anxiety of pitching to a network executive because you've been there. Wonder if you could describe a little what that's like? For a lot of us, it's a dream, though I can imagine being a wreck if it came true! You have such interesting and cool people. I really appreciate the time you take to present them here at JRW! It's always great to see how a professional writer's life unfolds. For awhile I was on the fast track, but the vagaries of this industry are impressive. Arguments between principals of an agency, changes of mind or agency focus etc. etc. Then too there's the don't quit your daytime job aspect. So, I keep consulting as an Automtoive Crash Safety Expert. It's been gratifying, because I've saved thousands of lives. However, still have no productions or publications. It's pretty clear from your story what your focuses are. And, I wouldn't even consider the therapist route a detour in that it totally adds to your understanding of character and motivations, much the way my pre-med anatomy study etc. added to my autosaftey crash career and my writing. I can bring all of that to my writing as well as my zen nature! I do have a screenplay question. I pitched a script to the CEO at Ford about one of their own recently. He bucked it down to one of his directors of communications. Bottom line - they won't do anything on spec. They want a fully developed project brought in. They were very interested in the story, but not the development aspects. Another screen writer friend said, "Good. If they got involved it would be an infomercial anyway and I'd lose any creative control I thought I'd have." At this point, I have no agents I want to take this to. There is a last resort guy, but he's caused some issues in the past - so, he is last resort. Any thoughts about how to approach this? Actually, I have two scripts, "Dummies Don't Lie" an auto crash drama that delves into the emotional aspects of a person that "saves peoples lives" and a script titled "The American Siblings" - about a guy who meets his half sister after 40 years and how that unfolds. That's the one that I pitched to Ford. One of the things that makes this script visually interesting is opening during a high speed crash event. What has motivated me is that I just re-read the script after about a year and as I read, I realized I hit all the notes I wanted perfectly - plot turns, characterization etc. I read it from a detached perspective - like I was evaluating someone elses work. I really, really liked it! - as I put it down I said - this has to get produced! Hence my question. Some have seen this as a TV drama. I feel it could go either way with some tweaking for TV. Any suggestions would be welcome!! And, great interview. I'm so glad I drop in here regularly!! I remember, as a fledgling writer, that it felt like a dream come true to me, too, the first time I pitched a series idea to a network executive. And, of course, it is! But, like all dreams, there are often some disturbing parts...for a writer, a pitch to a studio or producer or network exec is anxiety-making for some pretty good reasons: for example, your livelihood depends on their buying your pitch, so you feel a bit like Willie Loman in "Death of a Salesman"---vulnerable to their response, hoping you get them on a good day, hoping they need what you're selling, hoping they haven't heard a similar idea just an hour before, etc. Also, frankly, it's hard to explain what's in your mind and heart to execs who often are terrified themselves of losing their jobs, or how poorly their last decision to buy something turned out. So not only the writer, but the exec him- or herself is filled with anxiety. So, bottom line, there's a lot of tension in the room! Take care, and thanks for asking me to participate in your blog. It's great! And though it sounds like they have development money, and interest, I'm leery of doing such a significant amount of work on spec for them. On the other hand, if you write the script on spec and are pleased with the result, then at least you have a marketable spec script. Re agents: if you've had a bad experience with your "last resort" agent, I wouldn't go back to that well again. Better to query new agents, even though this is a pretty tough time to secure one. Again, these questions require more time than I can manage here, but I hope my answers offer some help. Interesting response to Roberta's question! One thing I hadn't thought about was the exec's immediate performance history going in to such a meeting. I've heard the 3 strikes and you're out story about book editors I've known, but never thought about it in terms of studio/TV execs! We're on the same page Re:New Agents. I just wanted to make sure I wasn't throwing away a good influential contact because of judgments on my part. He didn't get the job done twice after encouraging me to write things. So, thanks - that's very useful!! And, even though I've finished the script, sounds like I should stay away from Ford and find an agent. I won't even mention the Ford thing. As I said, great answers, great interview! I've always heard that writers are a crazy bunch, but that the "craziness" is necessary to the work. 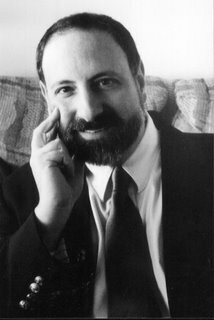 Would it be possible, though therapy, for a writer to become so well-adjusted that he no longer needed or wanted to write? And what happens to the talent, the ability to write? Boy, I hear this one a lot...and it's a total myth. For one thing, I've learned from my own clinical experience that the issues and emotions that motivate a person to write don't come from a "crazy" or pathological place, but from the real impulse to create---to share what's in a person's mind and heart with others. I know that the conventional wisdom is that creativity emerges from psychological disorder, but I don't buy it. For example, Van Gogh had a lot of traits that we might label bipolar today...but it's also true that he was surpremely talented! I've worked with a lot of non-creative bipolars. On the other hand, Chaucer was a cheerful, well-adjusted, successful family man...and he wrote "The Cantebury Tales." In my clinical experience, helping writers address neurotic fears and doubts only frees them to be more creative, not less. Thanks, Dennis. You gave the right answer. Now, just make my family believe it!